While most homeowners have been told they should do yearly furnace inspections, we’re sure a lot of them don’t really know why. People can be less tempted to follow that recommendation if they don’t fully grasp its importance. Homeowners may not think maintenance is important, skip it, and wait until it’s too late and their furnace needs costly repairs to call a professional. There are many reasons why you should schedule an appointment with the specialists at Fresh Air Furnace Services now that winter is here. Your furnace makes up for big portion of your energy bill. However, if it’s not working properly, it’ll cost you even more! A furnace that’s regularly inspected and cleaned will end up saving you money—you’ll see your energy bill go down and you’ll avoid costly emergency repairs if your furnace breaks down in the middle of winter. It’s essential to clean furnace filters to allow the temperature in your home to be properly regulated without raising the price too much. A dirty filter will reduce airflow, which makes your furnace work double and reduces its lifespan. A furnace with a reduced airflow will need more frequent repairs. Maintaining your furnace annually is a good investment as it means less repairs and a longer life! 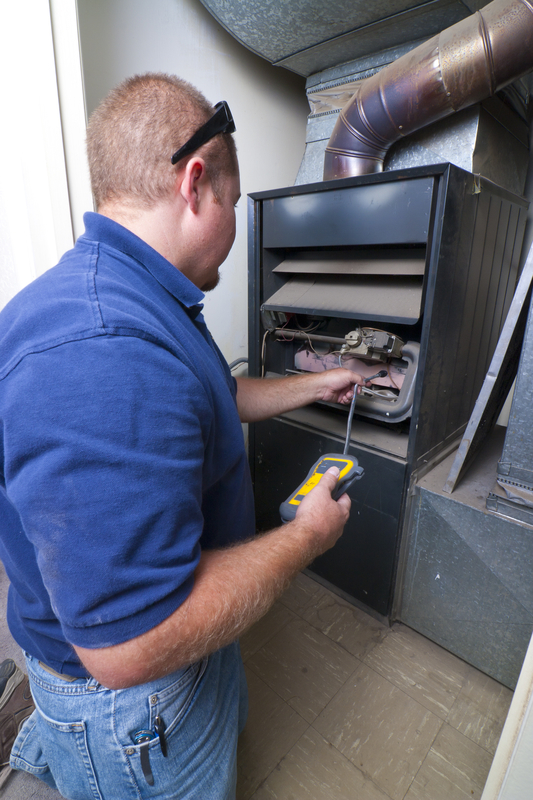 Another reason to get regular furnace inspections and tune-ups is to maintain the manufacturer’s warranty. It may seem less important, but if ever there comes a time you need to cash in on that warranty, you’ll be happy to have done it. Most quality furnaces come with a 15-year warranty, If you take care of your furnace it can last up to 20 years, so you’ll want to check in on your furnace to make sure that it still qualifies for the warranty. Most manufacturers demand that the furnace be regularly maintained, without which their warranty becomes void. As the saying goes, better safe than sorry! Your furnace burns fuel in order to heat your home. The combustion process needs to be very precise as even a small problem can lead to a gas leak in your home. Having a malfunctioning furnace can be a hazard to your family. A gas leak is very dangerous and can cause a fire in your home. You need to make sure it’s working properly before turning it on at the beginning of winter. If you didn’t do it, then call Fresh Air Furnace Services to have your furnace checked-up. Don’t risk your home’s safety! Another risk is a carbon monoxide leak. It’s much more insidious since it’s odourless and colourless. Dangerous levels of carbon monoxide can lead to nausea, headaches, or even, in extreme cases, death. Having annual furnace inspections will keep your family safe! Now you know why it’s important to have your furnace inspected and cleaned yearly. You’ll save on your energy bills and repairs, keep your manufacturer’s warranty valid, and more importantly keep your family safe and in good health!